Last year Mr Boo and I treated ourselves to a new bed. A bed which lifts up to reveal hidden storage space underneath the mattress – much-needed storage in a small terraced house. The thing was we didn’t replace the mattress, thinking that it felt OK so we didn’t need to replace it… wrong! Fast forward a year and whilst our new bed is going strong and doing a sterling job of holding all my Christmas shopping, the mattress is awful! With broken springs and little support, it is so difficult to get a good nights sleep. Now I am a fidget bum in bed. It takes me ages a while to truly get comfortable which must annoy Mr Boo something chronic. Fidgeting has been part of my bedtime routine for as long as I can remember. That was until Dormeo sent us a Dormeo Memory mattress to review. 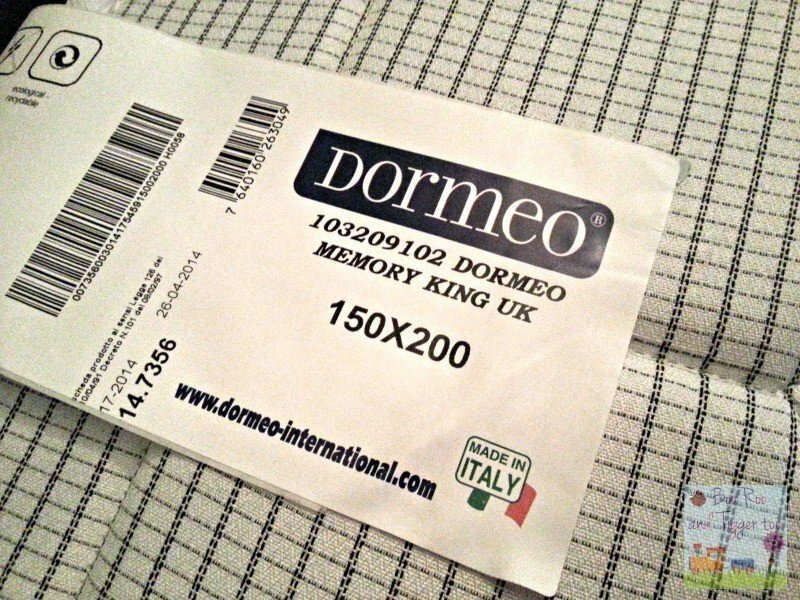 The Dormeo Memory arrives rolled up, to be honest, I couldn’t believe that a king size mattress was inside the box when it was delivered. Advised to open, unroll and let the mattress rest for 12 hours before sleeping on it I was forced to endure another terrible night’s sleep on my old mattress. With the alarm clock buzzing the next morning I had Mr Boo up and taking the old mattress off the bed before I’d even said good morning to him. The deep memory foam layer can be easily seen when you first unroll the mattress and the cotton cover provides a soft and comfort feel to the mattress. After waiting patiently for 12 hours I added fresh, clean sheets (there’s nothing quite like crisp, clean bedding) before jumping in for that first feel of the Dormeo Memory mattress. Slipping into bed the first night I felt as though I was being hugged and snuggled in place by the Dormeo Memory. That first night I fell asleep in the same position I went to bed in, no fidgeting and no tossing and turning – something that has continued night after night. Why choose the Dormeo Memory mattress? 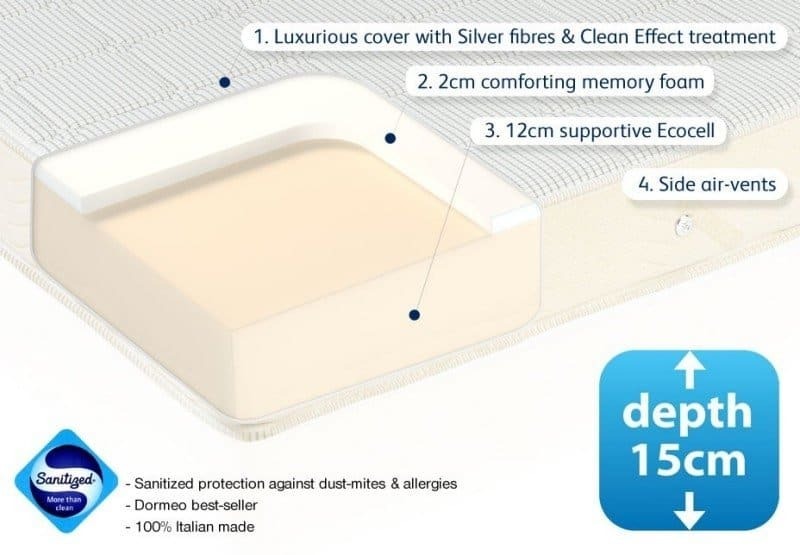 Dormeo Memory mattress offers the best balance of next generation, pressure relieving materials, wrapped in a luxurious Florentine stitched cotton cover has carbon fibres woven directly into it. Carbon fibres create a barrier to dust and particles in the air ensuring a hygienic sleep surface. The mattress cover is also infused with Sanitized protection, providing you with the ultimate anti-bacterial, antimicrobial and anti-dust mite protection. Having never owned a memory foam product before I have to confess to being sceptical of all the fabulous things I’d heard about them. After just one night sleeping on the Dormeo Memory mattress improved my sleep pattern and this has continued ever since. The soft, supple memory foam mattress gently moulds itself around your position no more springs digging into my side or that horrible bong of the springs as you turn over in the night. With an RRP £499.99, however currently on offer at just £239.99 for a king size mattress, I feel this is a great value. 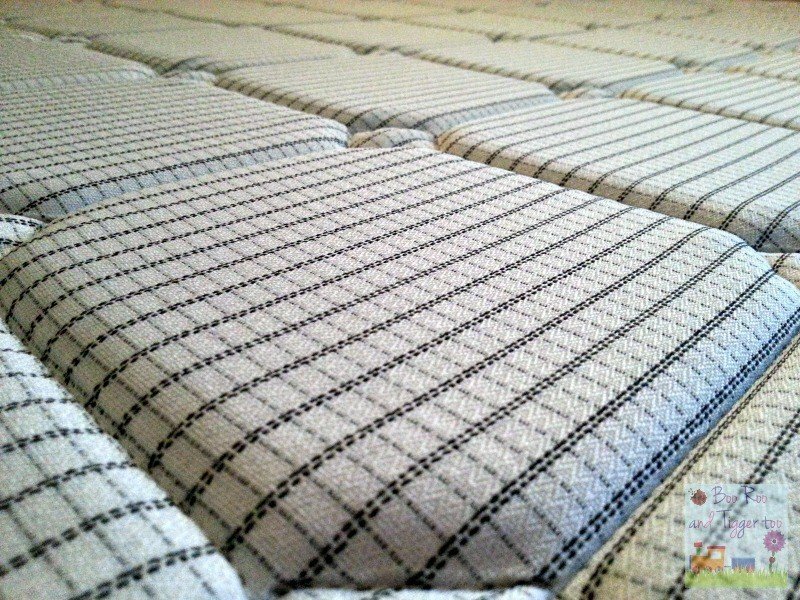 Anyone who hasn’t tried memory mattresses should give one a go next time you change your mattress. Treat yourself to a new Dormeo Memory mattress and start getting a better nights’ sleep today! Disclosure: I received a Dormeo Memory mattress FOC for the purpose of review. Oh my, this post made me feel so sleepy… I wish I had a Dormeo for tonight! That looks so comfortable! I do like memory foam mattresses, we don’t have one ourselves but we’ve experienced them on holiday and there really is a difference, when we come to change our mattress I’ll definitely be considering one. We recently invested in a memory foam mattress too and I was concinved they had sent us a single mattress as the rolled up package seemed so small! I really love it – amazing how much better you feel after a good nights sleep isn’t it?